I first met Rosie when she was running the antenatal classes at Queen Margaret University, but she has since relocated to the peaceful surroundings of Cockenzie House and Gardens, East Lothian. Rosie also has two children herself, which made me feel more confident in the Lazy Daisy birthing methods! She started doing Lazy Daisy when she was pregnant with her second child and then then decided to start teaching it too. The class started with a brief introduction to the format of the sessions. Then Rosie asked what knowledge we had of birthing and the labour process already. Having been through labour once before and a set of classes, I kept schtum! There were another 2 ladies, which made for a nice intimate session in her new premises. It did get a bit tight for room once we started doing some of the exercises, but there are bigger spaces available if more people were to attend. Next up we went through some of the education of birthing, which is what interests me most, and makes you feel that your body knows what to do if you let it and simply use the tools taught in the class. Emphasis is placed on breathing in a relaxed manner to ensure your baby and your body get the oxygen they need to help labour along. Once we all knew the basic relaxing breathing this was combined with some nice, gentle birthing exercises. Perhaps you could call the exercises yoga, but having never done yoga before I really couldn't say for sure. Anyway, the yoga part is nice and gentle, and because I have SPD, Rosie would warn me if there were any I shouldn't be involved in or take it easy on. After the mat work, we finished up with pelvic floor exercises, very important to strengthen for labour and in life! Finally, and also my favourite part of the class is some relaxation time. Rosie, guides you through your journey with lovely birthing affirmations, which gives you time to bond with your baby and lets your subconscious reaffirm that your body is ready for an easy labour. Honestly, I think this is what has given me the confidence to plan for the home birth I was dreaming of. Its not like the NHS antenatal class I attended in the past at all. Rosie says only to allow your subconscious do the hard work and not to try intentionally take anything in. Its not a test! When the time comes you will have all the birthing skills to hand and by simply attending the sessions, enjoying them, and relaxing at the end is all you should need to aim for. I love this approach as its too hard to try and learn anything consciously at this time anyway, dealing with a sick toddler this week and severe lack of sleep as well! This class was like a breath of fresh air in my life this week. The classes run in a set of 6 sessions, around an hour and a half each. The class is for mums to be only, and Rosie does run a one off weekend class for mums and dads to be, once the mums have done the 6 weeks. Seeing as its the ladies that will be doing the hardest work it makes sense and takes the pressure off the men as well. More info can be found on the lazy daisy website here, and you can contact Rosie at the East Lothian facebook page directly here. 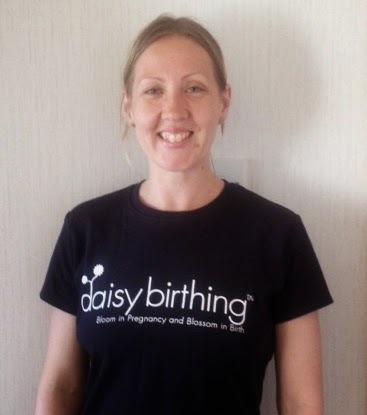 I was invited to attend Lazy Daisy East Lothian Active Antenatal Education Classes for review purposes and no fee was paid.